Cheryl Zondi expresses gratitude to her supporters - SABC News - Breaking news, special reports, world, business, sport coverage of all South African current events. Africa's news leader. Cheryl Zondi is accusing Timothy Omotoso of sexually grooming her from the age of 14. The first alleged victim to testify in the sexual offences trial of Nigerian pastor Timothy Omotoso and two others has written a public letter in which she expresses her gratitude for all the support she is getting. 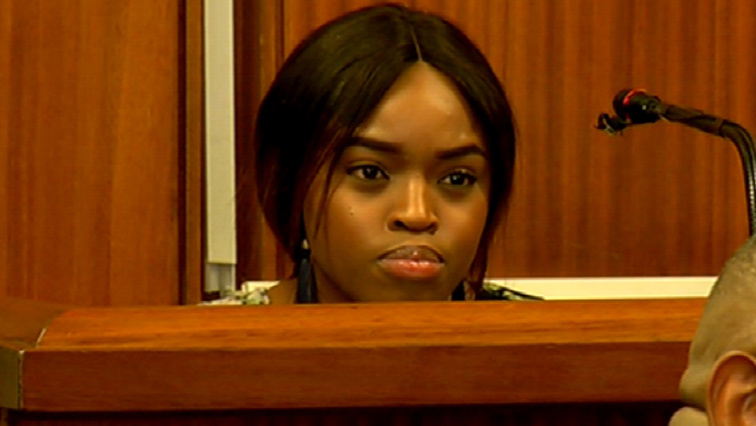 Cheryl Zondi, who has been under intense cross-examination by defence lawyer Peter Daubermann, forwarded the letter to the SABC . Several organisations and the public supported her in court. On social media people applauded her for being brave and fearless in the way she dealt with the questions. She said she has been overcome with emotion. Zondi wrote that the battle she is fighting is the same for others. She pleaded that the same level of fierce support must be kept for fellow survivors taking the stand. This entry was posted on 19 Oct 2018,04:50PM at 4:50 PM and is filed under South Africa, Homepage Featured Story Slider. You can follow any responses to this entry through the RSS 2.0 feed. Both comments and pings are currently closed.